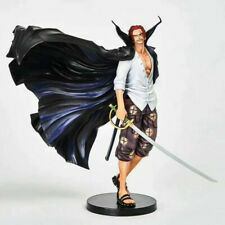 Figuarts ZERO ONE PIECE Shanks - Overlord color of ambition -180mm ABS Bandai. Condition is New. Dispatched with Royal Mail 2nd Class. We will try our best to give y ou a happy shpping experience. Material: PVC Size:about 20cm high. Only took it to inspect it and take pictures. Just been sitting in the closet and take up space. Manufacture: Banpresto. Red-Haired Shanks (赤髪のシャンクス). All images may be test production shot prepared by their makers, and differ from finished products . Series:One Piece (ワンピース). We will try our best to give y ou a happy shpping experience. Material: PVC Size:about 18cm high. You may also like. Includes an extra arm, a straw hat, and 2 heads. Includes base. Sold as is. Can be use as coin bank! He fan-favorite character Shanks in one of the biggest pieces released to date! Check out the super wild effects and translucent parts that accentuate the dramatic pose, modeled to evoke a battle scene. 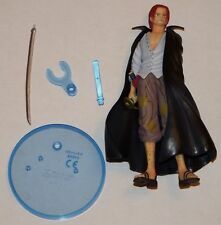 Banpresto One Piece Shanks Figure. This item is a CraneKing Prize that is 25cm tall. This item is used in Excellent Condition. This item comes from Japan. Slight imperfections are typical with this kind of product and, in fact, often enhance the value. Martin Luther King Jr. Item is new in the box. Box has some shelf wear. Please look at the pictures. Shipping is free and that includes tracking number and insurance. One Piece 8" Shanks Plush. One Piece 8" Nami New World Plush. Dragonball Z 8" Great Saiyan Man Plush. One Piece 8" Jinbei Plush. Black Butler 8" Sebastian Top Hat Plush. Space Dandy 8" Honey Plush. Materials: PVC, ABS. I live in Akihabara. Interchangeable head part. Display Base. (take 2-4 weeks). Set contents Product may differ from photo. (take 1-2 weeks). [ Country of Manufacture ]. the manufacturer will change contents, date and quantity for sale. [ Li-ion Battery ]. We do our best for you!! Japan Usage Item. [ Electronics ]. Size: Height 21cm ABS-made stand included. [ Country of Manufacture ]. the manufacturer will change contents, date and quantity for sale. We are treating new item, but there is possibility that item has tears, dents, dirts. 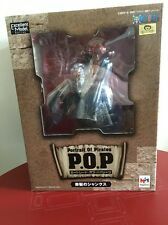 One Piece Shanks Swordsmen Moment Figure vol.2 Banpresto Official Ship from USA! Label: Bandai. Material PVC, ABS. Middle East. This product is available in Japan. Almost products have Japanese in its instructions or contents. From my experience it could take 3 to 7 weeks. Your country is very far from Japan and it takes long till the item reaches you. Size:17cm high. It's a long distance to you. So pls wait with patience. We will make every effort to solve the issue and any potential problem. Pls don't leave us. Maybe a slight color difference (due to the weather take a picture with the light and the difference between their monitors). [ Country of Manufacture ]. the manufacturer will change contents, date and quantity for sale. We do our best for you!! [ Multiple sizes and colors ]. [ For Collectors :Item Conditon ]. Japan Usage Item. ONE PIECE The Great Captain Shanks Sticky Note & Book Set Ichiban Kuji Prize H. NO EXCEPTIONS. We have provided the best quality and quantity of image that we are capable of providing. NO OTHERS ARE AVAILABLE. [ Country of Manufacture ]. the manufacturer will change contents, date and quantity for sale. We do our best for you!! [ For Collectors :Item Conditon ]. Japan Usage Item. [ Electronics ]. Size:18 cm in high. Note :No box. One Piece Ace Rubber Phone Strap. One Piece Luffy Rubber Phone Strap. One Piece Zoro Rubber Phone Strap. One Piece Chopper Rubber Phone Strap. One Piece Trafalgar Law Rubber Phone Strap. One Piece Sabo Rubber Phone Strap. One Piece Boa Boco Bottle Opener Key Chain. One Piece Chopper Boco Bottle Opener Key Chain. One Piece Ace Boco Bottle Opener Key Chain. One Piece Luffy Boco Bottle Opener Key Chain. Kuroko's Basketball Aomine SD Key Chain. 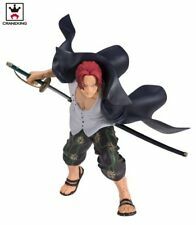 Banpresto One Piece Shanks Rough Edges Creator X Creator Grey Bust Statue. Slight imperfections are typical with this kind of product and, in fact, often enhance the value. Martin Luther King Jr.
Figuarts ZERO One Piece Shanks summit decisive battle Ver. Special Color Edition. [ Country of Manufacture ]. the manufacturer will change contents, date and quantity for sale. We do our best for you!! One Piece Shanks Wanted Key Chain. "Red-Haired" Shanks is commonly known as "Red Hair.". This item has never been used.